People who have an allergy or severe sensitivity to peanuts and tree nuts run the risk of serious or life-threatening allergic reaction if they consume this product. Aunt Beth’s Cookies in Mishawaka, IN is voluntarily recalling certain baked cookies sold between January 1, 2017 and September 28, 2017 because they may contain traces of undeclared peanut or tree-nut allergens. People who have an allergy or severe sensitivity to peanuts and tree nuts run the risk of serious or life-threatening allergic reaction if they consume this product. The affected products were distributed through one wholesaler Indiana and one wholesaler in Illinois. This recall is limited exclusively to the above-listed cookies. 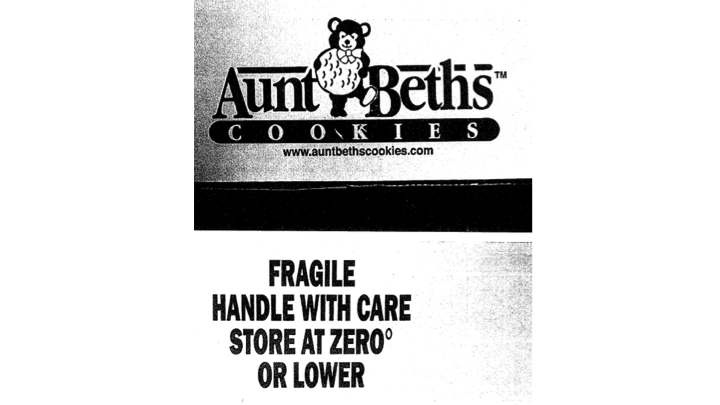 No other Aunt Beth’s Cookies are affected by this recall. The company has not received any reports of illnesses associated with consumption of this product to date. The voluntary recall was initiated when it was discovered that cookies that may have been in contact with peanuts and/or tree nuts in the baking process were distributed in packaging that did not reveal the presence of peanuts or tree nuts. The potential for contact was immediately eliminated. Consumers with the recalled products are urged to return them to the place of purchase for a full refund. Consumer questions may be directed to Aunt Beth’s Cookies at 574-259-2940, 7:30 a.m. – 2:30 p.m., EST.